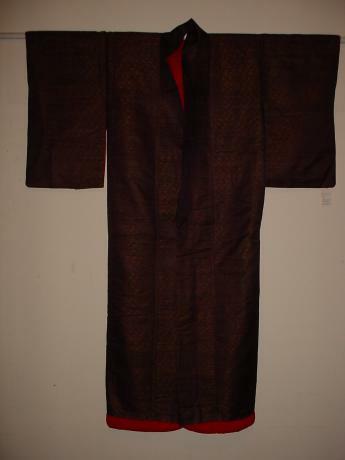 Description: Meiji Period dark purple brocade wedding KIMONO. 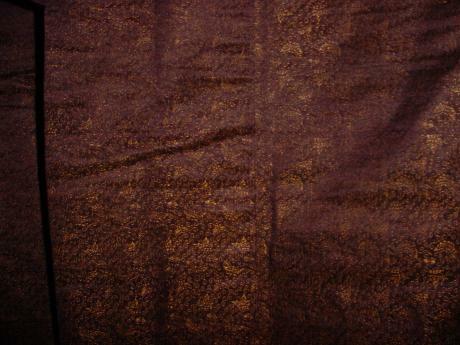 Brocade is design of butterflies. 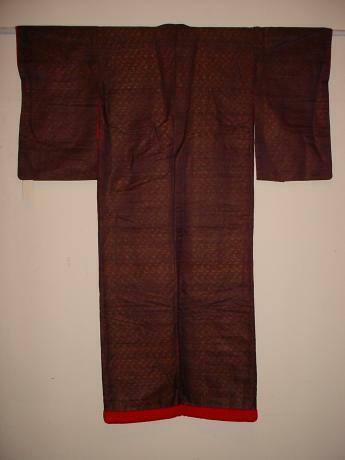 47" width from sleeve to sleeve, 24" body width, sleeves 24" length and KIMONO length of 59" length.